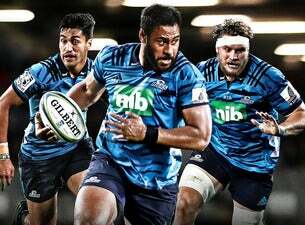 The Blues have got an exciting season kicking off in the opening weekend against the 2018 champs and southern rivals, the Crusaders. Pick from 7 home games at Eden Park, including 4 NZ derbies. ‘Club Night’ is 30 March vs the Stormers when you can meet the team on the field after the game. Or join us at QBE Stadium, Albany on 09 March when we face the Sunwolves on our turf for the first time.